MIS Nozzle Cleaning Fluid - 4 Oz Bottle. 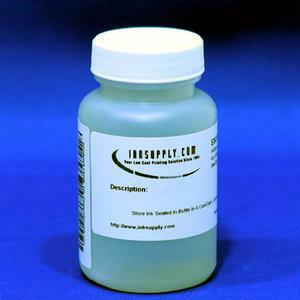 This Fluid Is For Clearing Potential Clogs From Any Inkjet Printer. For Epson Printers, Apply To The Parking Pad, And Let It Soak Overnight Or Longer. For A More Complete Treatment, Fill An Empty Cartridge And Run Cleaning Cycles To Fill Nozzles With The Cleaning Fluid. Then Let It Rest For 3 Or 4 Days. Then Install A New Cartridge (not A Refilled One Or Used One) And Print A Purge Page. Repeat Procedure If Not Completley Unclogged.